The first ‘do’ of all is simple. Take the drama out of trauma. From the victim’s view, it’s personal; it’s not a public circus. Trauma sufferers need calm. The last thing they need is everybody running around in a panic. Athough the major disasters hit the headlines, the fact remains that most traumatised people are the victims of so-called ‘minor’ events, (at least in terms of their newsworthiness). Put simply, there are far, far, more robbery victims, assault casualties, car crash survivors, people affected by random acts of violence, and so on, than there are victims of tsunamis, war, or terrorism. However, an important point to remember is, that whether classed as major or minor, every traumatic event is a huge shock to the affected individuals. Another important point to remember is that most trauma victims recover perfectly well without needing any specialist therapy. Nevertheless, whether the traumatic event is affecting large groups, small groups, or individuals, it is all too often the case these days that so-called trauma experts, whether counsellors or psychotherapists, are immediately called in by panicking officials, friends, or families. 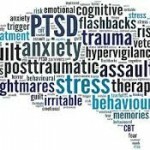 However, the UK National Institute for Health and Clinical Excellence warns us that trauma therapy “should only be offered if it is actually necessary”. They say this because doing nothing is actually very often the most helpful in the long run. In fact, many studies tell us that overzealous, untimely, and inappropriate ‘therapising’ can actually make matters far worse. So, a great big ‘don’t’ is this. 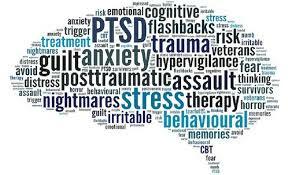 Don’t include trauma therapy as part of the routine, front-line, responses to traumatic events. You might be doing far more harm than good. In fact, psychotherapists may not necessarily be the best people to help trauma victims. There is evidence to show that many, if not most, victims much prefer the help of friends and colleagues to the services of the allegedly ‘expert’ therapist. Research shows that that people usually respond best to the flexible and informal help offered to them by their colleagues and friends. So, how can traumatised people be best put on the road to recovery? Here are a couple of ‘do’s’. Firstly, make sure that everybody is familiar with the technique known as ‘Critical Incident Defusing’. This is basically an emotional recovery process, which is usually most effective if those involved in a traumatic incident carry it out for themselves. This is because Defusing is essentially a peer-supported, post-incident, normalising process. Defusing simply requires the people involved to deliberately focus their post-incident conversations and social interactions in ways that ensure that everybody feels able to talk about their thoughts and feelings. In other words, Defusing is a process that acts as a communal emotional, pressure-relief valve, one that reduces immediate psychological tensions and prevents accumulative stresses from building up. Provide the victims with information about what is happening to them. Tell them about how trauma can affect them and give them some tips on coping. In sum, it should be noted that most, possibly all, of the components of both Defusing and Psychological First Aid are not essentially psychotherapeutic in nature but focus on meeting basic post-incident needs, (e.g., physical safety, interpersonal connectedness, support, normalisation, promoting self-functioning, and so on). Either of these victim-support techniques should be flexibly delivered in ways that meet the specific needs of the victims. The bottom line is that in the immediate aftermath of any trauma, professionals should take their lead from the survivors and provide the help they actually want at the time, rather than assume that as experts that the ‘experts’ know best. However, as helpful as Defusing or Psychological First Aid can be, it is also vital that the needs of genuinely psychologically pathologised survivors are identified as early as possible. Relying on laypersons to normalize the abnormal is fine, providing that the needs of the more seriously disturbed are not overlooked. This is why it is essential that expert trauma therapists form part of immediate response teams. I do not suggest that they have to be there to overtly therapise. Indeed I am arguing that in most cases they should not! What they can do is to be willing to offer to help out in any capacity at all, (after all, somebody has to make the tea!). However as they go about their tasks, they also can be watching what is going on and sometimes, quietly, unobtrusively, and above all respectfully, they might identify someone who appears to be more severely distressed and in need of an early mental health intervention. In such cases these watchers can become overt therapists once again, even if only temporarily. They can then use their professional skills to start to address the needs of the more deeply troubled at a different level, perhaps even at a psychotherapeutic one. Finally, and this is addressed to all the ‘Trauma experts’ out there. It’s the biggest ‘don’t’ of them all! Don’t forget …”fools rush in etc.”.